Tickets still available for “The World of Pinot Noir & Cabernet is King”. Saturday, January 28 ~ 9:30 am – 2:30 pm. Educational, inspiring and delicious—these interactive seminars are led by recognized wine experts from around the world. Tickets for the "The World of Pinot Noir & Cabernet is King," wine seminar, tasting and four-course gourmet lunch, are still available—but going fast, says Kate Atkin, executive director of The Sarasota Manatee Originals. "We've sold out the 'Vino Italia!' session but still have a few tickets left for the full-day seminar.” Both events are part of Forks & Corks University, interactive seminars and tastings led by recognized wine experts from around the world. Forks & Corks University is a popular part of the Forks & Corks Food & Wine Festival, a four-day event, which runs January 27-30, 2012. "The World of Pinot Noir & Cabernet is King" is Saturday, January 28, 2012, 9:30 a.m. -2:30 p.m., at Michael's Wine Cellar, 1212 East Ave. S., Sarasota. The program features a diverse selection of Pinot Noir wines in the morning and a four-course gourmet lunch catered by the Sarasota-Manatee Originals member restaurants, featuring wine pairings with each course. Following lunch, guests will sample and learn about Cabernet Sauvignon. Tickets are $110 per person and can be only purchased online. "These educational seminars are what set Forks & Corks apart from most other wine and cuisine festivals," says Michael Klauber, Forks & Corks events co-chair. "It takes it to another level. 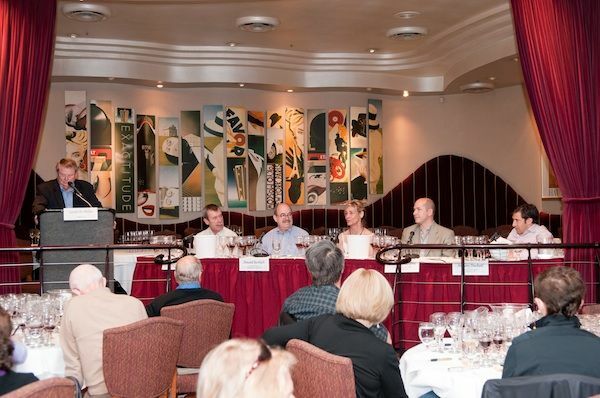 Guests are not just passively consuming—they’re also absorbing the expertise of world-renowned wine experts." 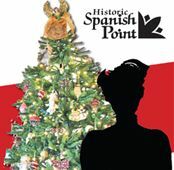 The Sarasota-Manatee Originals is partnering with Historic Spanish Point to celebrate “Mrs. Palmer Returns,” November 20 from 3:00 – 6:00 p.m., on the grounds of Mrs. Potter Palmer’s former estate now known as Historic Spanish Point, 337 N Tamiami Trail, Osprey. Enjoy dishes from Originals members Euphemia Haye, Libby’s Café + Bar, Michael’s On East, Sharky’s On The Pier, and Siesta Key Oyster Bar. Activities include live music and outdoor games. Tickets are $35 for Historic Spanish Point members and $40 for the general public. A silent auction and raffle will also be held with proceeds to benefit Historic Spanish Point. Tickets may be purchased online at www.historicspanishpoint.org or call Laura Dean at 941-966-5214 Ext. 295. Chef Douglas is a recent addition to the long-standing Siesta Key Oyster Bar. After graduating from Florida State University, Douglas began his culinary exploration of the South and North Eastern United States. Whether sautéing frog legs in Louisiana, kneading seitan in Brooklyn, tossing vodka rigs in Jersey, or shucking oysters in the Village, Douglas is ready to please his guests. Come join him, and the rest of the SKOB family, for some good food, good drinks, and good times.